Nye Natural Medicinal Solutions will have to work with local residents and the Nye County Sheriff’s Office to address concerns about smell, noise and the look of its new facility as part of an extension of time for a special use permit that was approved by Nye County commissioners on Wednesday. Horace Langford Jr / Pahrump Valley Times - Pahrump Waterboard meeting Monday, Dan Simmons with attourney on the Medical Marijuana facility issue. Some nearby residents said they were opposed to an extension of time for a special use permit. Pahrump resident Paul Ostrenger, who lives across from the facility, said it doesn’t belong in a residential area. “The smell is overpowering. On a good day, it’s bad; on a bad day, you can’t go outside,” he said. He also complained about loud music in the evenings in the back of the building and the look of the facility. “They need to do some landscaping, plant some plants. This is a plain, unsightly area. It’s not pretty to look at,” he said. Nye Natural Medicinal Solutions was granted a provisional license from the state of Nevada for a cultivation facility on Nov. 3, 2014, according to the documents. The location at South Oakridge Avenue is an existing site of a medical marijuana cultivation facility for CW Nevada and already has a special use permit. The two businesses plan to share the same building. Diann Musial, another nearby resident said “nothing has happened” since the meeting on April 19 when officials requested the business work with neighbors. “I am not out to harm, I actually support the notion of medical marijuana, but just as it’s been said, we are setting a very strange precedent about placing them and putting such rigid looking, prison-like facilities that don’t merge with a neighborhood,” she said. Musial and Ostrenger complained about a razor-wire fence around the facility that was part of the security plan submitted by the business. Amanda Connor, agent for Nye Natural Medicinal Solutions said the business is waiting to meet with the neighbors after it has a clear understanding what security measures the Nye County Sheriff’s Office would require. “We didn’t want to agree with the neighbors to make certain changes if those would not be approved. But we are certainly going to be reaching out to the neighbors as we move forward in this process,” she said. 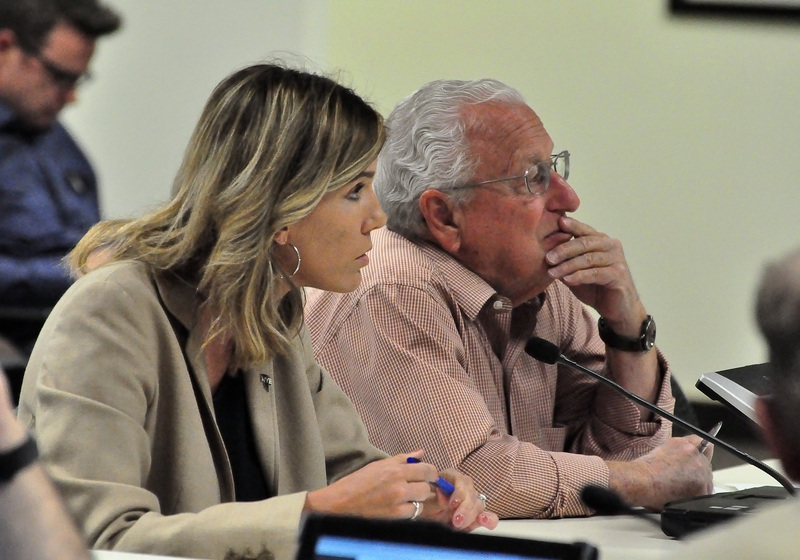 Nye County Commissioner Dan Schinhofen said as soon as Nye Natural Medicinal Solutions has directions from Nye County Sheriff’s Office, the business will talk to its neighbors. “This is not new to me, like I said, it’s half mile from my house. I do understand the concerns of the neighbors,” he said. “As to the smell, I’ve been there a lot of times, what I smell is the deodorizer that they add to the air filters in the back. But that is something they have to take care of and are currently working on,” he added. Nye County commissioners gave Nye Natural Medicinal Solutions a 90-day extension to pay all fees and ready paperwork. The business has to be operational within a year. Nye Natural Medicinal Solutions expects the new facility will be licensed and operational by the end of 2016.